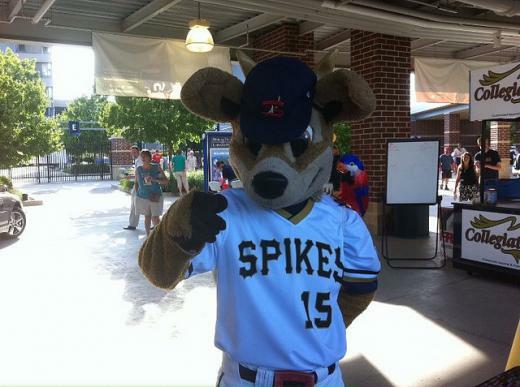 State College Spikes mascot, Ike the Spike. Courtesy of State College Spikes Facebook page. If you ever wanted to dress up like Ike the Spike, you finally have your chance. The State College Spikes will hold open mascot and national anthem tryouts Saturday from 10-11 a.m. at the Nittany Mall. As for the mascot auditions, fans have the opportunity to audition for a spot with the Spikes community relations and game entertainment staff and dress up as some of the Spikes' ball park characters, including Ike the Spike and Cookie Monster's look-alike, the Nookie Monster, on game day. The national anthem portion of the tryouts will be a capella, with participants being given the option of singing solo, with a chorus or as an instrumental. There will be 38 opportunities to sing the "Star Spangled Banner" prior to a Spikes home game. Guest judges PJ Mullen from the B94.5 Morning Zoo Crew, Jeff Brown of 93.7 The Bus, Sara Eckert of WTAJ, and Sarah Swistak of Central Pa. Live will rate each singer to help determine the season list. Other fan activities also will be available at the Nittany Mall on Saturday, including visits from both mascots, door prizes and 2012 ticket information. Those interested in applying but who cannot make the tryout can reach out to Spikes Community Relations Director David Wells at 814-272-1711 for details on submitting demo materials. The Spikes open up New York-Penn League play on June 19 at Medlar Field at Lubrano Park on Penn State's campus. Greg Pickel writes for StateCollege.com and Onward State. He's on Twitter as @GregPickel. 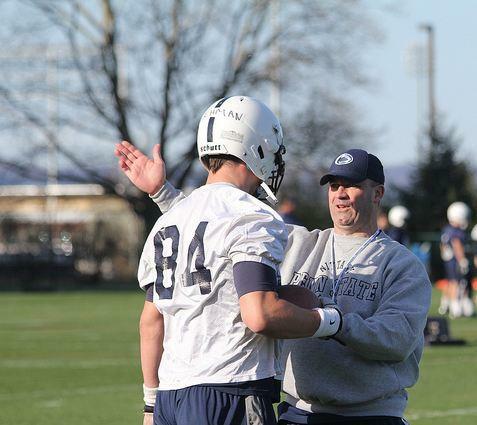 In many ways, the start of the Bill O’Brien era at Penn State couldn’t have gone much better for him. Numerous speaking engagements, a friendly relationship with the media, and respect for Penn State traditions have helped the 42-year-old O’Brien win over many of his early critics after spending the past five seasons with the New England Patriots.